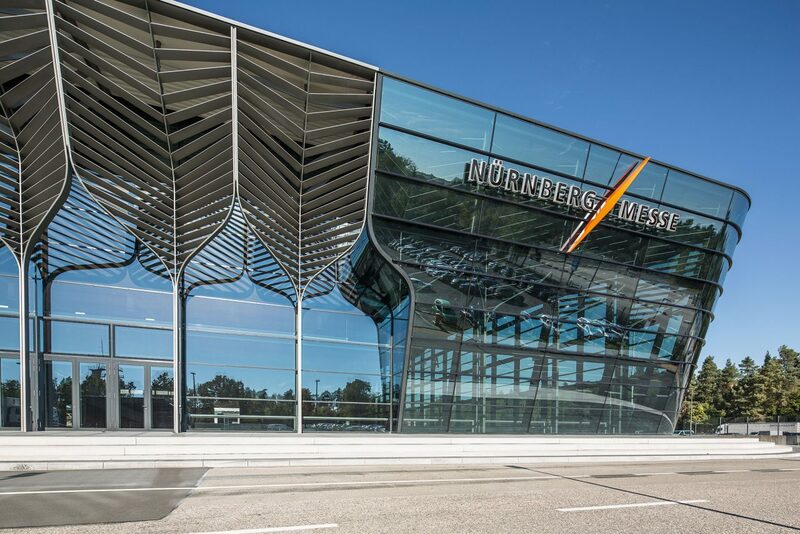 The new exhibition hall 3A at Nürnberg Messe was designed with a prestigious steel and glass facade as part of a scheme to extend the exhibition space. 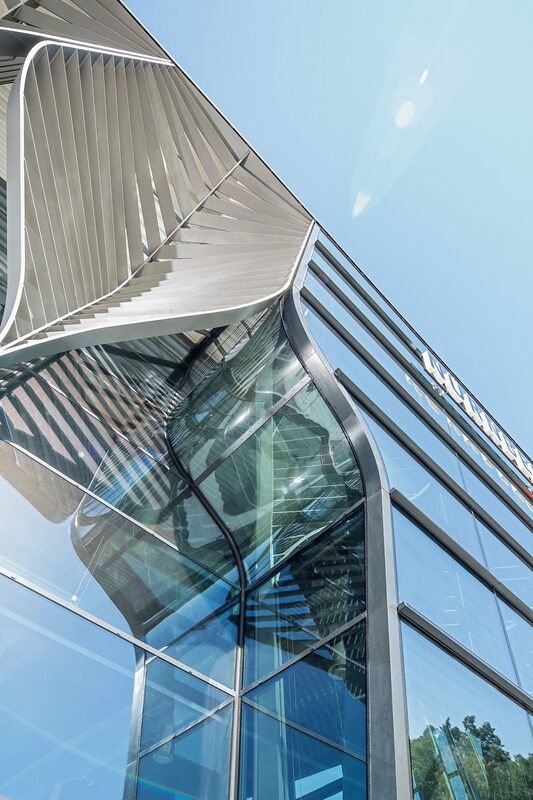 The filigree steel substructure of the facade is self-supporting across the entire height of the hall and is fitted with curved insulated double glazing units in some sections. The geometry of the facade extends across two sides of the exhibition hall. 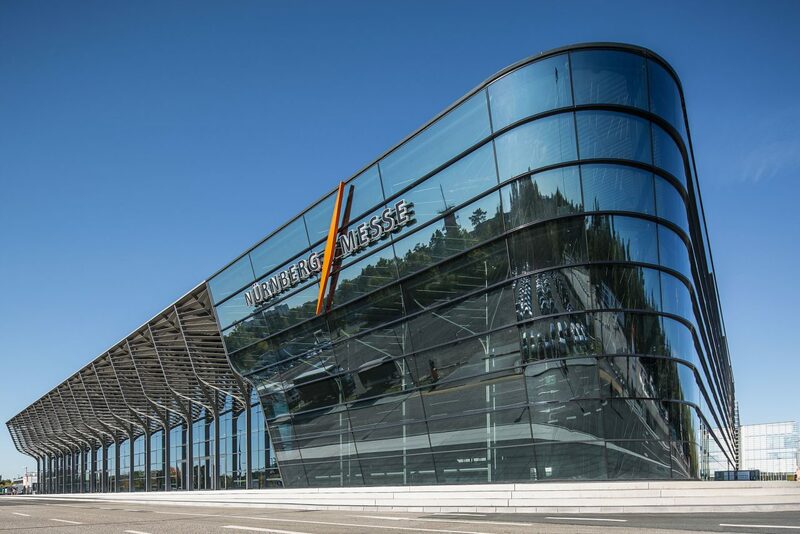 The facade changes from a vertical structure on one side of the hall to facade surfaces which incline inward on the other side of the hall, with curved insulated glazing units to mark the transition. 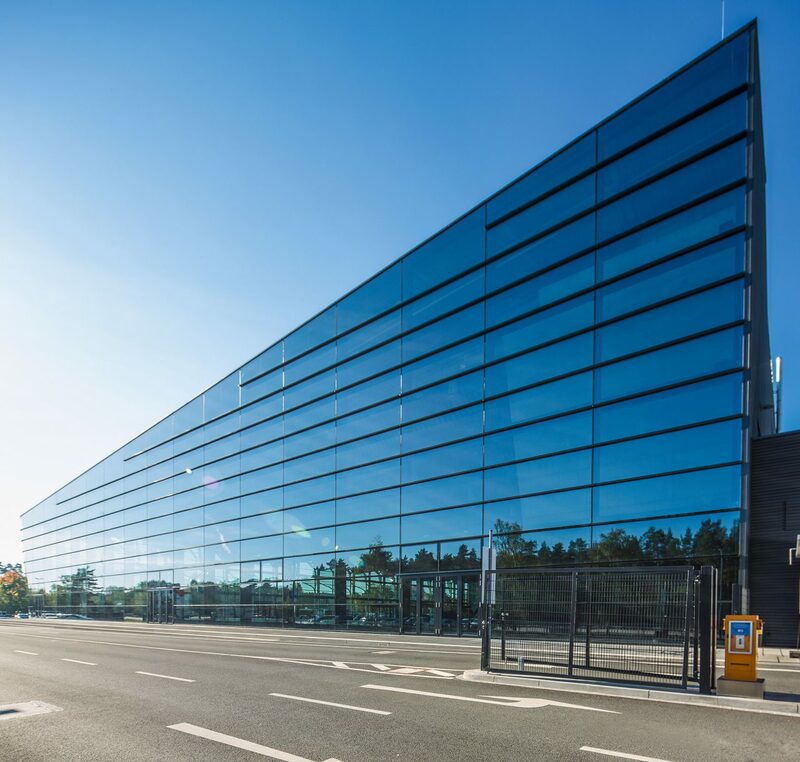 The whole facade was designed in 3D in order to realize the complex structure.